Canalicchio di Sopra winemaker Francesco Ripaccioli and his siblings are working to showcase distinctive Brunello terroirs. At only 31 years old, Francesco Ripaccioli already has notched 11 vintages as winemaker of one of Montalcino's best-situated estates. In 2007, his family's Canalicchio di Sopra needed someone in the cellar to fill the big shoes left by his grandfather, who had been crippled by a stroke some years earlier. With no formal winemaking training, Ripaccioli quit business school and returned home to run the Tuscan winery, beginning what he confidently calls "a new era for Canalicchio." Working with the estate's longtime consultant, Paolo Vagaggini, Ripaccioli was a quick study. He systematically analyzed the estate, conducting fermentations parcel by parcel from the family's vineyards. He replaced his grandfather's decades-old aging casks, generally modernized the winemaking practices, and added rigor to the process. "I had to restart everything technically," says Ripaccioli, who speaks quickly and exudes the energy of youth in a hurry. "Winemaking is poetry, yes. But it's also technique." Ripaccioli grew up in wine. In the 1950s, during Italy's postwar-era land reforms, his maternal grandfather, Primo Pacenti, the son of tenant farmers in Montalcino, bought about 25 acres of cheap farmland. Initially, he planted just over an acre of Sangiovese. In the 1960s, he became one of the 12 founders of the Consorzio del Vino Brunello di Montalcino, which worked to earn the appellation Denominazione di Origine Controllata (DOC) status (and later to have it named Italy's first DOCG). Pacenti planted more and more vineyards, began exporting to the United States in 1979, and expanded the estate in 1985 by buying up neighboring acreage, on which he then built the current family home and winery. Canalicchio established a reputation for elegant, traditional Brunellos made exclusively from vineyards on the appellation's north side, in the prestigious Canalicchio and Montosoli crus. (Ripaccioli explained the differences between the crus in a 2011 Wine Spectator video.) Today, the estate produces about 6,000 cases a year from 50 acres of Sangiovese all classified for Brunello di Montalcino. Ripaccioli's now-retired father, Pier Luigi, worked primarily in the vineyards, as his brother, Marco, 39, does now. His sister, Simonetta, 46, runs the family's small wine inn. The three siblings, who make most major decisions by consensus, have embraced sustainable viticulture, cutting out herbicides and insecticides, relying only on cover crops for fertilizer and using vine cuttings to help heat their inn. Each sibling has a defined area of responsibility. "I go in the vineyards, and my brother comes in the cellar," Ripaccioli says. "But he is the final word in the vineyards, and I am the final word in the cellar." Ripaccioli, who has served six years on the Brunello di Montalcino consortium, is also a leader in a new generation of local producers. "We don't want to make a revolution," he explains, standing outside the family's new winery being dug into the hillside below their now-cramped 1990s cellar. "We want to take the best of our traditions and marry that with innovation." "We respect the terroir," he adds, "but I don't want to make exactly the same wine as my grandfather made." 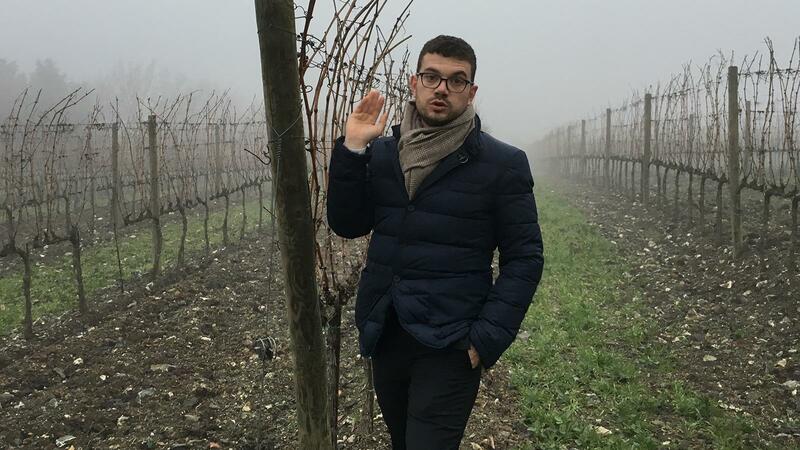 His next move will be to bottle more wines from individual vineyards and parcels, part of a trend developing among young Montalcino producers. "In the next few years, there will be more and more Brunello labels," he says. Up until now, Canalicchio di Sopra has made three wines: Brunello di Montalcino, Rosso di Montalcino (generally from younger vineyards that the family declassifies each vintage) and, in exceptional vintages, a riserva from the estate's oldest vines, in particular Vigna Vecchia Mercatale, planted in 1988. Now, Ripaccioli plans to add a pair of new wines. The first, a full-bodied Sangiovese debuting with the 2015 vintage, is sourced from the family's 5-acre, clay-dominated Vigna Casaccia in the Canalicchio cru; about 500 cases will be released in 2020. The second, a spicier and more minerally red being introduced with the 2017 vintage, comes from the stonier soils and oldest vines in their vineyard parcels on the nearby Montosoli hill; about 250 cases are expected to be released in 2022. "This was my hope from the beginning," he says, "to make wines that are very, very specific." Looking to the future, he is already counting the vintages in front of him. "When you make a project in Montalcino, you need to be very optimistic," he says. "You need to believe you will have at least 50 years ahead of you."